Are You Suffering From Whiplash After Being In A Car Accident? If you have been in a car accident even though you may think you are not hurt, neck injuries and whiplash can happen in the smallest of accidents. It sometimes may take a few days or even weeks for your body to acknowledge the physical effects of the car crash. To learn more about soreness after a Car Accident, click here. Whiplash is one of the most common injuries to occur in a car accident. It can have extremely negative effects on the body if it is not taken care of as soon as possible. Whiplash occurs when your head is moved suddenly backward, forwards or side to side. It can destabilize the spine which can cause extreme pain in your head, neck, shoulders, and upper back. If you have been injured in a car accident, it is vital to see a Chiropractor to treat your whiplash systems. We even offer Free Consultations at our Georgia and Tennessee locations. Whiplash symptoms may be present immediately after an accident, or they may take some time to develop over the next couple of days. It is possible to sustain a whiplash injury in a car accident of very minimal speeds. Keep in mind that the speed of your collision does not correlate to the degree of damage your body may sustain. Whiplash can cause the ligaments of your spine to stretch or tear. The ligaments the help support your neck and head are extremely vulnerable to tearing during a car accident. It is crucial to see a Chiropractor for treatment after being in a car accident. They are trained to diagnose and treat many injuries associated with whiplash. Having correct alignment will help the major parts of your body to return to optimal health. Whether you feel symptoms right away or not it is better to be safe and prevent them from occurring in the future. Arrowhead Clinics specializes in treating car accident victims who are suffering from whiplash. 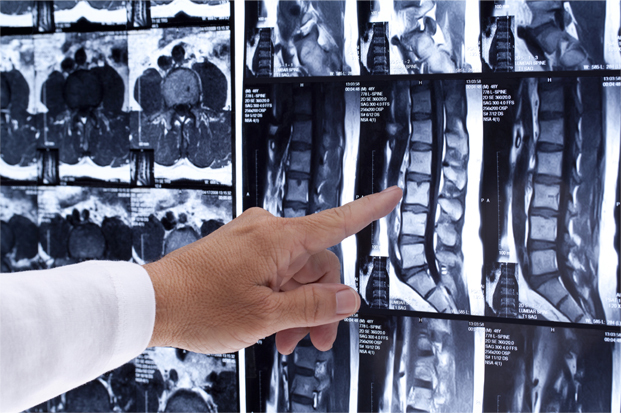 Our doctors will evaluate your spine as a whole before deciding which approach to try for your pain. They will conduct a thorough examination to diagnose the specific cause of your pain. The Chiropractors will determine what areas have restricted movement as well as your overall spinal alignment. They will come up with a personalized treatment plan just for you to help you recover as fast as possible. Click On The Link Below For A Free Whiplash Consultation With Georgia's Best Chiropractors!